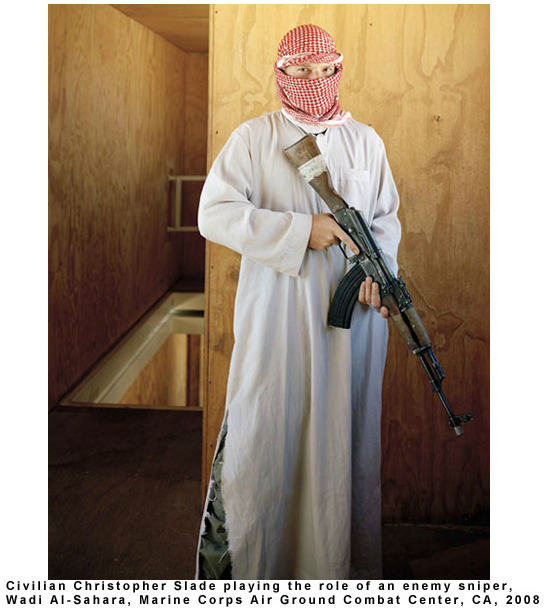 With my series Simulating Iraq I deal with American military training for the wars in Iraq and Afghanistan. 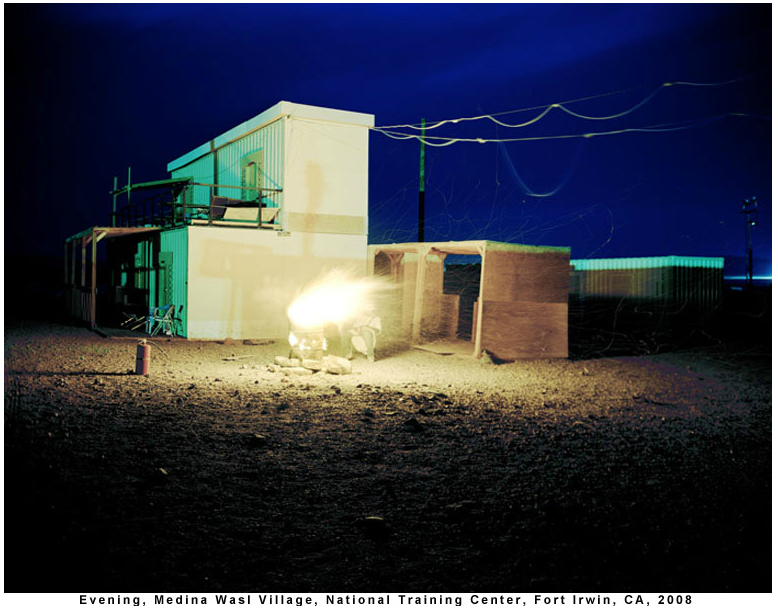 These photographs were made on military bases within the U.S. in fabricated spaces designed to simulate conditions on the battleground. 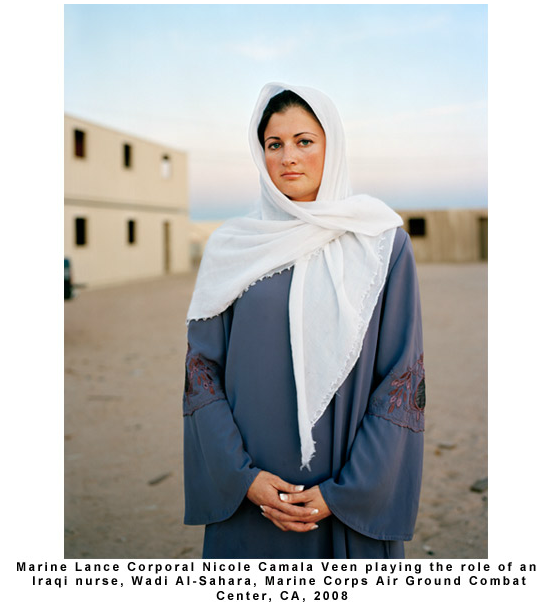 I draw attention to the appropriation of Iraqi and Afghan culture including Americans (both soldiers and civilians) role-playing as Iraqis and Afghans, and the use of specific costumes, objects and architecture. What interests me about these simulated spaces is the way the imagination is at work in them, both in the psychology of this imagination and in its inherent consequences. The pictures, like the reality, can be confusing, provoking one to wonder who are the good guys, and who are the bad guys? 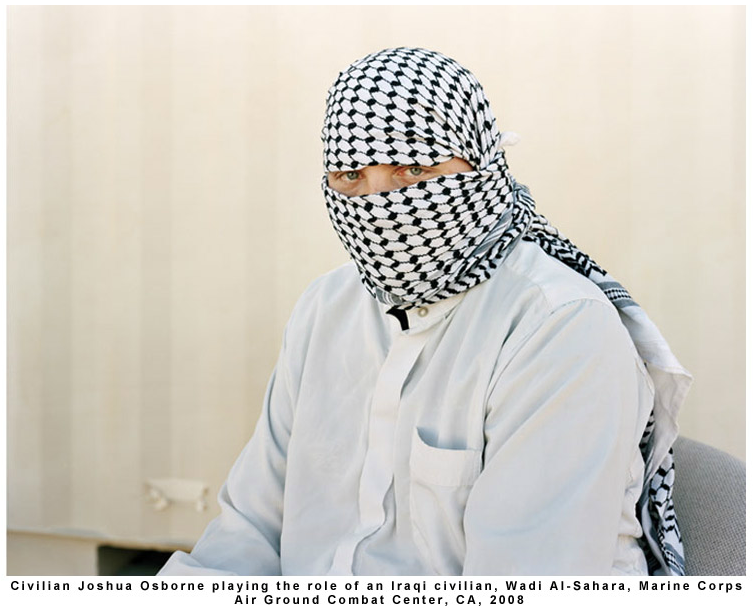 Who is a real Iraqi, and who is a fake insurgent? 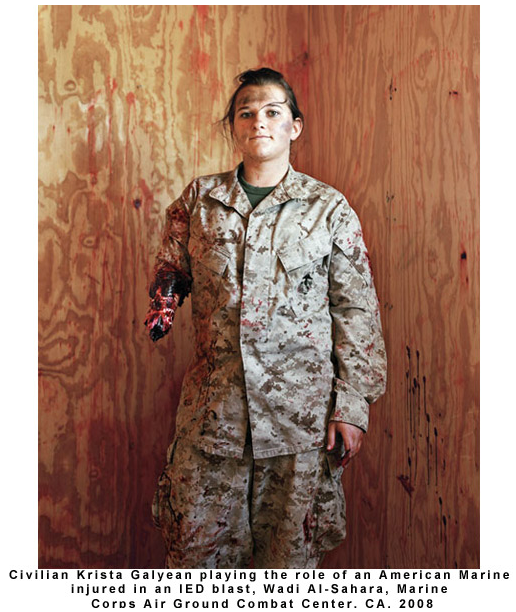 What does it feel like for a soldier to play the role of her or his enemy? What does it mean to a young solider who has their first encounter with difference in this environment? These spaces are meant as imitations of reality, but take on their own realities, especially because they are, after all, preparation for soldiers who shortly will be in a real war zone. The pictures in this series are made with a large-format camera on color negative film, and the final works are 30" x 40" archival ink jet prints. Claire Beckett lives and works in Boston, MA. To view more of Claire's work, please visit her website.